With spring quickly approaching, many home owners find this is the best time to list property for sale. As the grass turns green and flowers begin to bloom, potential home buyers are out in full force and listing a home at this time can be profitable. When you decide to list your home for spring, now is the time to begin preparing the outdoor landscaping with updates. The exterior of the home is the first impression a buyer will have so you want the property to look its very best. 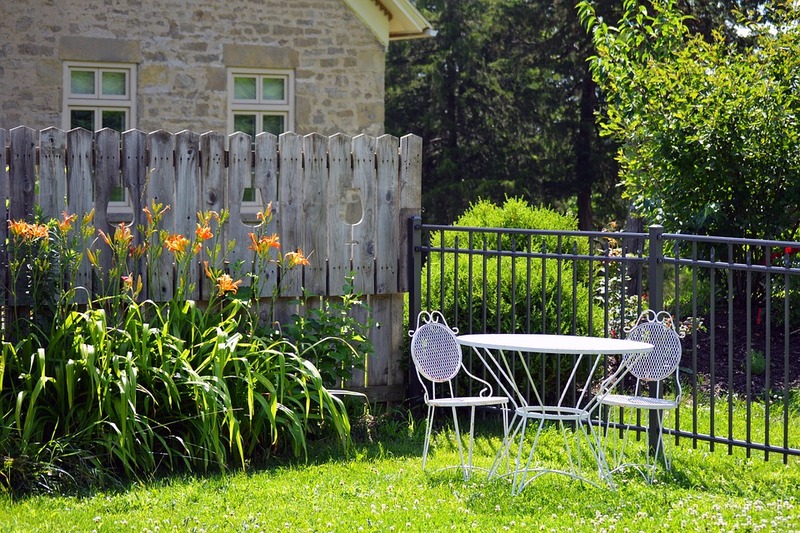 Below are a few tips to get you started with outdoor updates. Begin with standard landscaping of the property. This will include mowing the grass, trimming hedges and bushes, cutting back tree limbs and freshening up any garden areas. Add in fresh mulch and new plantings where needed so the landscaping looks fresh and inviting. Now is the time to clean up the exterior of the home. Rent or borrow a power washer and clean up the exterior of the home, removing any dirt and grime. Brick and vinyl siding can easily be cleaned with a power washer, removing any dirt or grass stains that may be present due to the fall and winter months. Power wash any decking, cement porches or other areas in need of cleaning, including fencing. Now is also a good time to provide a fresh coat of paint for exterior areas of the home. Painted shutters should receive a fresh coat and consider painting your front door as well if possible. Any areas of your home that appear dingy or faded in color will do well with a fresh coat of paint. Take a weekend and purchase your paint, getting to work reviving the outdoor areas of your home. If you have the money available, invest in new furnishings or outdoor décor. Adding a small patio set to a front porch or outdoor deck provides the potential buyer with a visual of what the area can be used for. Seeing the extra living space or how the outdoors can be used can be seen as a buying feature for potential home owners. If you really want to upgrade the outdoor areas of your home, consider big projects that could be added. A pergola, new deck, or patio area may be just the addition your home needs to sell. Consider such additions but know that you might not receive all your money back during the sale. New additions should be considered carefully as they may cost more than you wish to spend and may not add as much value as you would like. Yet, it is an option that can be helpful to selling your home. Overall, it is important to consider the exterior of the home when making changes and cleaning up to list the home for sale. Ignoring the outdoors can be devastating to the potential for your home to sell quickly. The exterior is the first thing that potential buyers will see, so be sure you take great care in staging the outside to make the best possible impression on those who view your home.